American Fabric Filter manufactures industrial netting which can help you reduce costly product damage and greatly enhance employee safety. Our nets are used in many different industries from bakeries, mills, warehouse, mines and many other large complexes around the country. 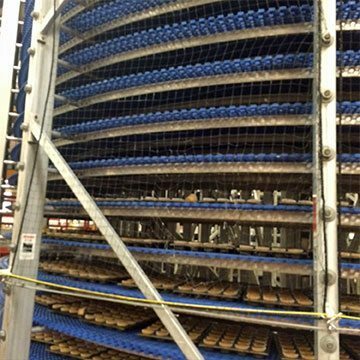 Used storage areas, lining conveyer belts, and around cooling towers, we can supply pre-engineered netting systems to protect your facility and people from items that can fall from loaded racks or moving conveyors.